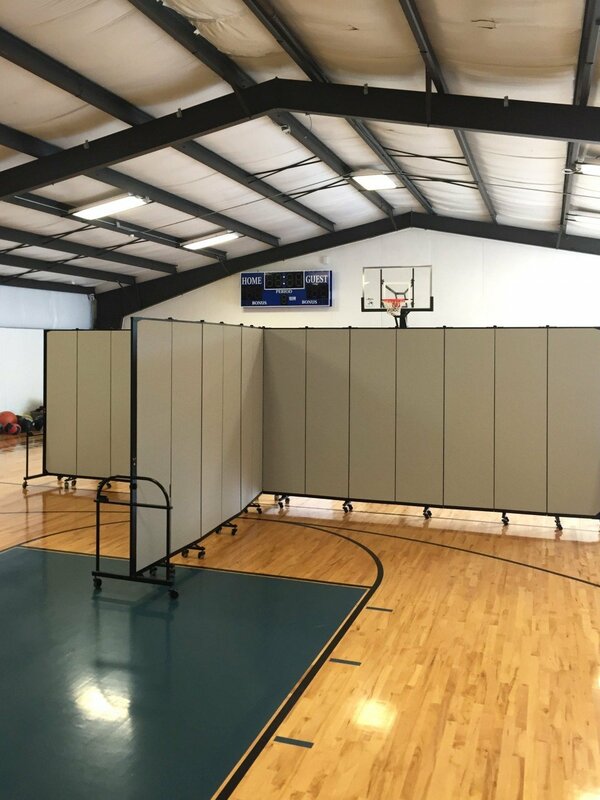 Uses: Before and After, Education, Gymnasium Colors: Gray/White Lengths: 13 panel 24'-1" Heights: 7'-4"
Eleven Fifty Academy is a non-profit that serves the coding and community through immersive learning. Headquartered in Carmel, Indiana, EFA provides the best possible training experience for in-demand programming languages and professional training while consistently accelerating the learning curve for people of all ages. John Qualls, ‎President at Eleven Fifty, called us in April of 2015. 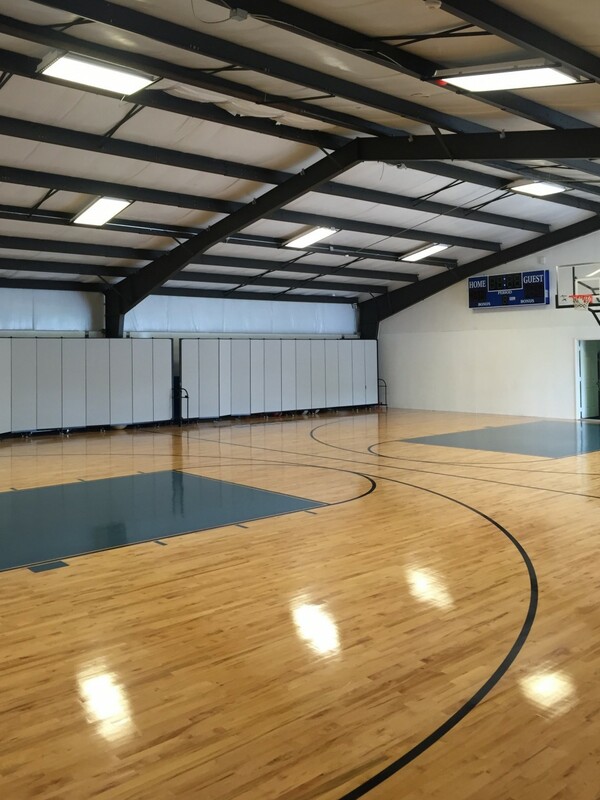 He said they wanted to create separate walls in their 47-foot gym, but they weren’t sure of the best way to divide a large room like this. 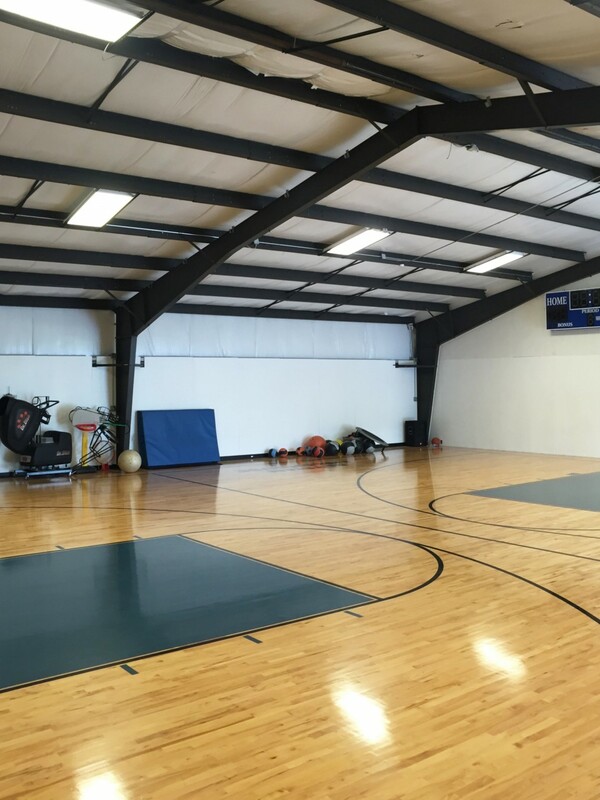 His primary concern was needing the walls to be temporary; in use when needed, and out of sight when they wanted to do other activities in their gym. His other concern was that they are durable enough to hold up to being repeated opened, closed and moved. No problem! Screenflex partitions are made using only highest quality materials. We build our dividers so they will give you many years of dependable use. John called us and talked with a Screenflex consultant who helped him create the best configuration for their enrollment needs. 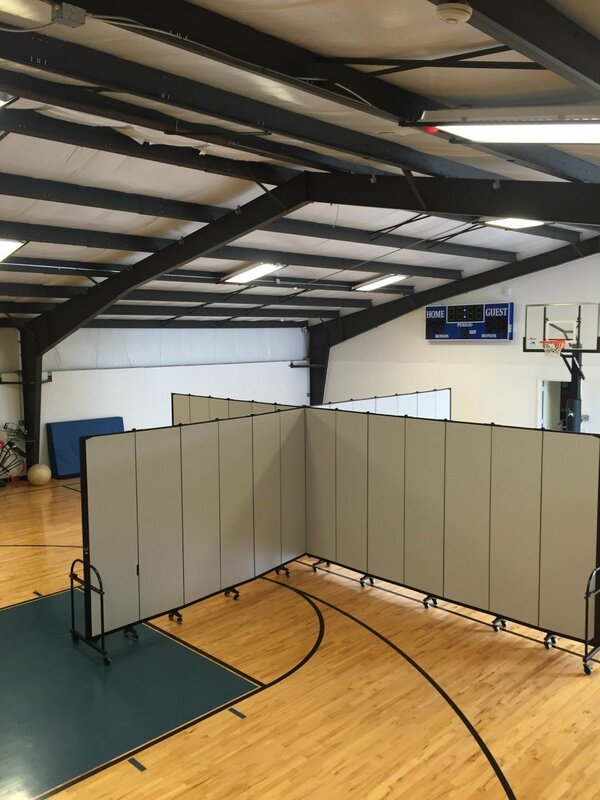 From there they picked out the correct room divider sizes then found a neutral room divider fabric color that would blend well with the gym’s colors. Now, THIS is the Best Way to Divide a Large Room With Screenflex Partitions!